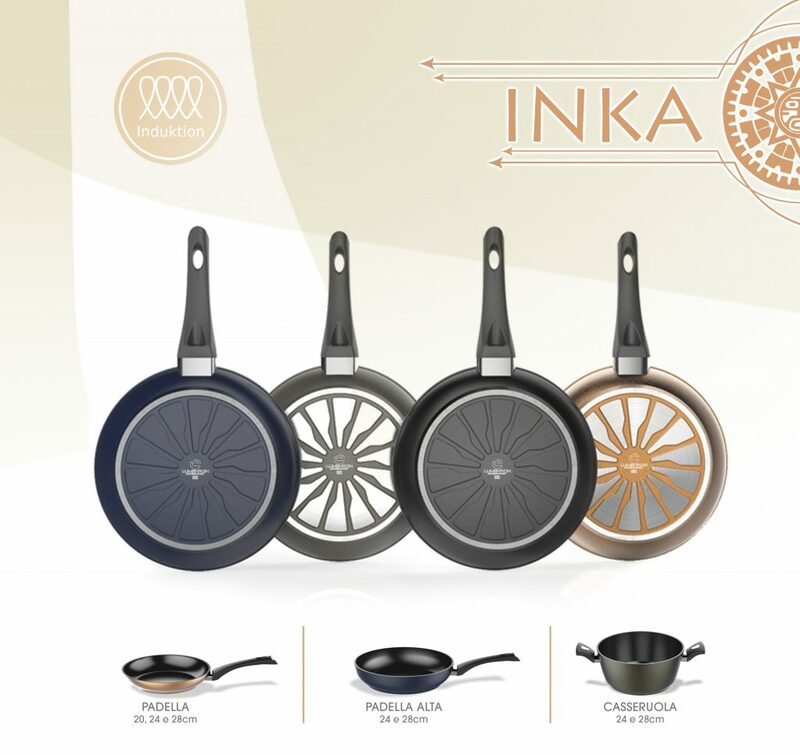 Elegant range in forged aluminum with high quality interior non stick coating . Bottom with special design with reliefs to ensure greater heat distribution and excellent energy-saving performance. Suitable for all hobs including Induction. Patented handles with ergonomic Italian design.